Can you believe that this DIY cost me less than £1.80 to make?? Well it did, so let me tell you how! 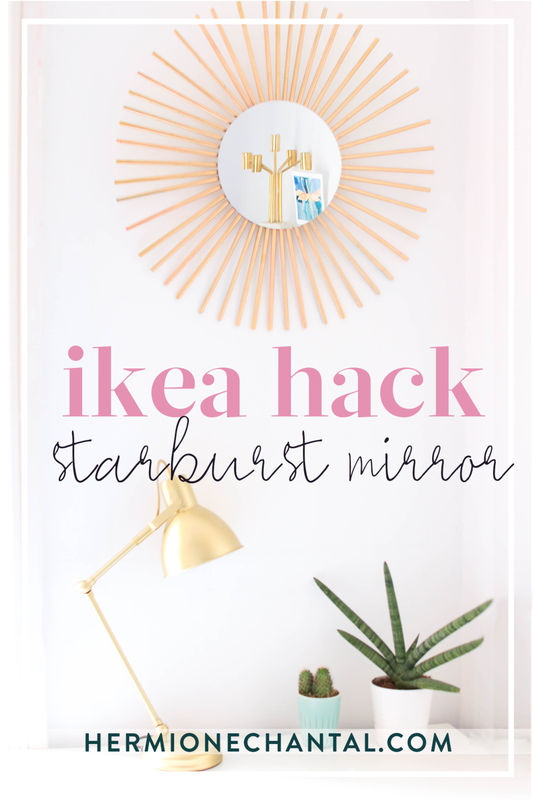 The base of the DIY is the mirror, which I picked up in a thrift store this summer in the USA for a total of $1, the star busrt itself is made from straws. Yep, good old drinking straws. And of course, they are from Ikea! I'm in love with how it turned out, if you want to see the full DIY check out the video below, which includes four other DIY Ikea hacks in addition to this. I hope you enjoyed the video, and happy hacking!